Find out more about the people behind SAS. Sensory Activation Solutions (SAS) is the brainwave of Steven Michaëlis and is the culmination of 50 years of research relating to how we learn and how we can be more effective in life. The methodology and programmes are developed and researched in the U.K., The Netherlands, Poland and Turkey and are being used by individuals, families and schools throughout the world. The international team is headed by Steven Michaëlis, Ergun Karabulut and Helena Karabulut, but all staff members throughout the world contribute to the further development of the SAS methodology and expansion of the organisation. The SAS Turkey Centre and Corporate Head Office is based in the capital Ankara. The SAS UK Centre and office is based in Hemel Hempstead, Hertfordshire and is managed by Nicole Zimbler. A select team of SAS Practitioners has been trained to provided services in other parts of the country. SAS is represented in the Dutch speaking regions of The Netherlands and Belgium by LerendBrein, a partnership of SAS trained psychologist Berrie Gerrits and educational specialist Mariëlle Gerrits-Entken, based in Nijmegen, The Netherlands. Nina Woodcock and Anneke Woodcock have been trained in the SAS methodology in the U.K. and Turkey. They also coordinate all SAS activities for Australia and New Zealand. Steven Michaëlis is the originator of the SAS methodology and founder of SAS Organisation, currently with centres in the U.K., The Netherlands, Poland, Turkey and Australia. He is a highly experienced counsellor, conference presenter and expert in neuro-coustics and human auditory perception. He specialises in sensory activation techniques that help the brain to processes information more effectively and that stimulate inter-hemispheric synchronisation. Steven got interested in sound recording when he received a reel-to-reel tape recorder for his 15th birthday. As he was already involved in the organisation of a local youth club, he used the equipment to record live bands, including an early Pink Floyd performance. He designed his own little mixing desk and made microphones out of dictating machines spares. Not surprisingly Steven went on to study electronics and at the same time founded an electronic equipment import and distribution company in Holland. Having completed a sound engineering course in the USA, he expanded into studio design and record production. At the age of 25 Steven moved to England to pursue a career with a leading British sound equipment design organisation. This brought him into contact with leading acoustics companies in Europe, the USA and Far East and expanded his knowledge of human auditory perception and formal testing procedures. In his early thirties he joined the Japanese consumer electronics giant JVC and travelled extensively throughout the world, networking with innovators and researchers working in the field of sound processing and early computer technologies. In the eighties Steven embarked on a parallel career in counselling and parenting skills and was involved in the establishment of the first national parenting organisation in the UK. He ran many parenting and relationship classes for parents and couples expecting their first baby, guiding them through this life-changing period. He was trained by leading child-development experts from Europe, the USA and Australasia and he eventually became a certified group counsellor and master-trainer. At the same time Steven also got interested in methods that stimulate faster and better learning. This included the use of baroque music, breathing techniques and suggestive language. He was actively involved in organising a number of international conferences on the subject and met many of the leading innovators in the field. The development of the SAS methodology can be traced back to the wide ranging knowledge and experience Steven acquired during the last 50 years. Combining his knowledge of human auditory perception with the latest findings in neuro-plasticity and using the latest computer technology to alter music and speech in ways that were not possible until recently, has resulted in the extraordinarily effective SAS methodology that helps children and adults to perform better in life. aśka Michaëlis is an inter-faith, cross-cultural lecturer, writer, psychotherapist and life-coach with over 35 years experience. She gained a Master Degree in Oriental Studies at the prestigious University of Warsaw, Poland. Her passion has always been education in the widest sense of the word and she is a life-long student and seeker of knowledge and truth herself. or many years Kaśka Michaëlis has lectured and given workshops at colleges and universities in the U.K. on subjects ranging from counselling and communication skills to accelerated learning techniques, assertiveness training and courses for women returners. She also has facilitated parenting and parents-to-be courses for both parents and educational professionals.Kaśka Michaëlis is the author of two books in Polish, 'Develop your genius mind' and 'Super-possibilities of your mind' in which she presents a picture of a new style of education that encourages the learner to understand his or her own thought processes and emotional make up. This leads to greater control over the mind, body and spirit and allows the student to be much more effective and a happier person. Kaśka Michaëlis offers her counselling, psychotherapy and coaching services to clients throughout the world in either English or Polish. Nicole Zimbler | SAS Master Practitioner and Manager SAS U.K.
Nicole Zimbler heads up the SAS organisation in the U.K. and is an Integrated Developmental Therapist. She has worked for 18 years in the therapeutic and education sector as Remedial and Learning Support Specialist, Reflexologist, Special Needs Yoga Therapist, Movement and Retained Reflexes Therapist, Doula and Baby Massage Instructor. When working with complex developmental issues, Nicole can call upon her extensive knowledge and experience in body awareness, movement, balance and retained reflex rehabilitation to complement the SAS Programmes for the benefit of the client. Nicole completed her training in the SAS methodology in the U.K. and at the SAS Centres in Istanbul and Ankara. She is based in Hemel Hempsted and Watford. 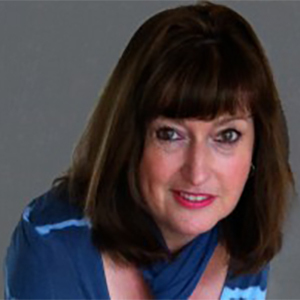 Janet Maude | SAS Practitioner Buckinghamshire U.K.
Janet Maude is a SAS Accredited Neuro Sensory Practitioner based in Newport Pagnell. She completed her training in the SAS methodology in the U.K. and at the SAS Centres in Istanbul and Ankara in Turkey. Janet is a qualified teacher, a Kip McGrath and private tutor, and is TEFL trained. She has worked with youngsters with varying abilities from a diversity of backgrounds and has an interest in special needs. During her class teaching years she came across many children suffering from a whole range of learning difficulties and has worked closely with parents and learning support assistants to help make their lives in school a little easier. Janet's passion is to make a lasting difference to the lives of those suffering with many types of learning issues, which the education system is often unable to do. 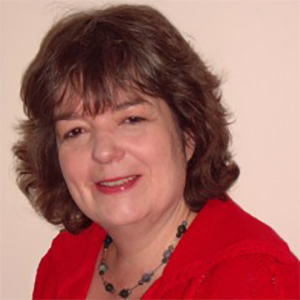 Judy Rawlings | SAS Practitioner Norfolk U.K.
Judy Rawlings is a SAS Accredited Neuro Sensory Practitioner based in Norfolk. She completed her training in the SAS methodology in the U.K. and at the SAS Centres in Istanbul and Ankara in Turkey. Judy is a qualified teacher – PGCE, has a diploma in educational studies, a certificate in parent education and is a private tutor. She has always been fascinated by the process of learning and finding ways to help students, whether child or adult, reach their full potential. Judy has a wealth of experience working with pupils of varying abilities, including those with special needs, gained from 30 years in education. This breadth of experience has not only given her insight into the many difficulties faced by learners, allowing her to tailor her teaching to the pupil’s individual needs, but it has also highlighted the many difficulties faced by parents and carers in supporting their children’s learning and development. 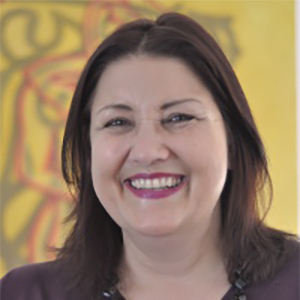 Sally Veater | SAS Practitioner Essex U.K.
Sally Veater is a SAS Accredited Neuro Sensory Practitioner based in North Essex. She completed her training in the SAS methodology in the U.K. and at the SAS Centres in Istanbul and Ankara in Turkey. Sally has a first class honours degree in Language Studies and also has a Postgraduate Certificate in Education. She is a remedial and learning support specialist using neuro-cognitive educational strategies, including the use of the Raviv method and Move to Learn retained reflexes remediation. As a former secondary school teacher and the mother of a dyslexic son, Sally is keen to demonstrate how neuro sensory and cognitive learning methods can help those with learning difficulties to realise their full potential. She offers individually tailored programmes which are focused, provide a new base for learning, use methods that are simple and fun and that can be adapted to all ages. Results are often rapid with unexpected benefits in other areas of life. Sally combines aspects of a variety of remedial approaches and up-to-date theories in phonics and reading together with the SAS methodology. Remediation is achieved through neuro sensory therapy and movement exercises with appropriate games, in a relaxed and positive learning environment. Ergun heads up SAS Turkey and is an Economics graduate from Gazi University, Ankara. He grew up in a family steeped in education and at a young age learned how the right education forms the individual, builds character and prepares a young person for a successful adult life. He grew up supporting several relatives with learning difficulties and finds it easy to open his heart towards those that are less fortunate. Ergun is Turkish and speaks excellent English. Born in England, Helena is one of the founders of SAS Turkey. With both her parents deeply involved in Parenting Skills training programmes, she was a willing 'guinea pig' as a child and now puts this experience into practise herself, being the mother of two. She studied History and Politics of the Middle East and Turkish language at Durham University in the U.K. and is an accomplished and inspiring TEFL teacher. She worked in Warsaw, Poland and at the Turco-British Association (TBA) and Middle East Technical University (ODTÜ) in Ankara. Helena is British and speaks fluent Turkish. Born in Ankara, Sunhal graduated from the Science High School. After graduation, she worked in different sectors as administrative assistant. She loves working with children and is in charge of daily administration at the SAS Centre Ankara. Born on the North Island of New Zealand, Nina migrated to Australia in her early 20s and for the past 11 years has been a Teacher Aide to children with very high needs at the Mt. Ommaney Special School. In the past Nina has also worked as a swimming coach with Special Olympics, mentoring people from ages 8-60 who have an intellectual disability. In 2011, Nina completed her Diploma in Education Support with the Gold Coast TAFE and is looking forward to using her new skills to help further the development of children and adults with intellectual and learning disabilities. She has a special interest in Asperger's Syndrome and Autism and hopes that through SAS she can broaden her knowledge of intellectual disabilities so as to better help those who are affected by it. 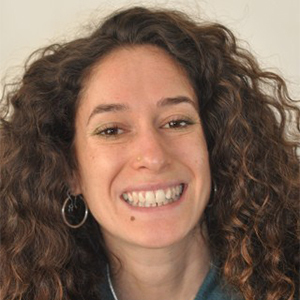 Nina joined the SAS team in 2011 after spending 4 months in the U.K., Turkey and The Netherlands learning more about the innovative methods developed by Sensory Activation Solutions. Born in Australia with dual citizenship in New Zealand, Anneke has recently completed her three year degree in Theatre and Arts Business at The University of Southern Queensland. Anneke has had experience working with both children and adults with intellectual and physical disabilities through voluntary work with Special Olympics and also at the Mt. Ommaney Special School in the Music Program. She hopes to one day bring a new educational parameter to schools in Australia using ‘clown’ as a tool for learning. In the meantime Anneke is ecstatic to be on board with Sensory Activation Solution and in June/July 2011 she spent some time in the U.K. and Turkey learning the advanced methods and theories offered by SAS. Nina and Anneke work as a team to promote the SAS methodology in Australia and New Zealand.